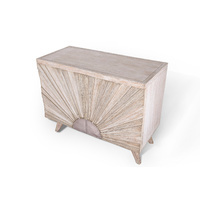 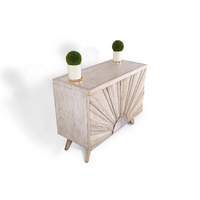 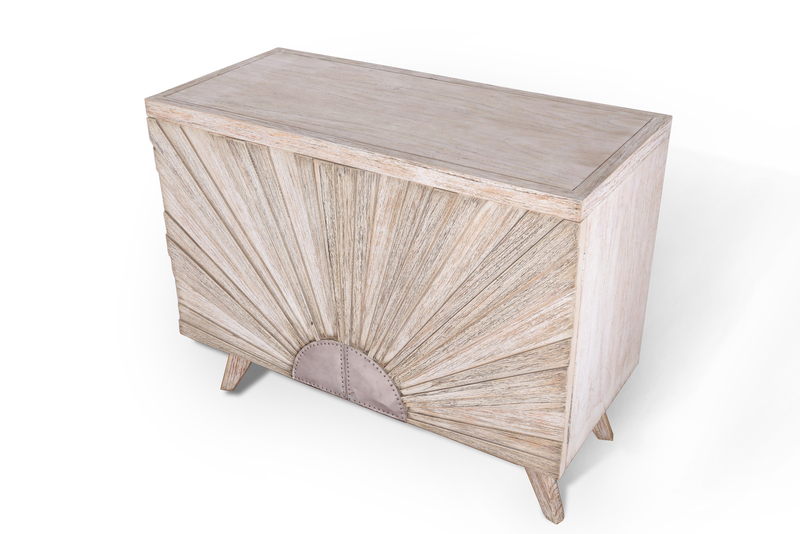 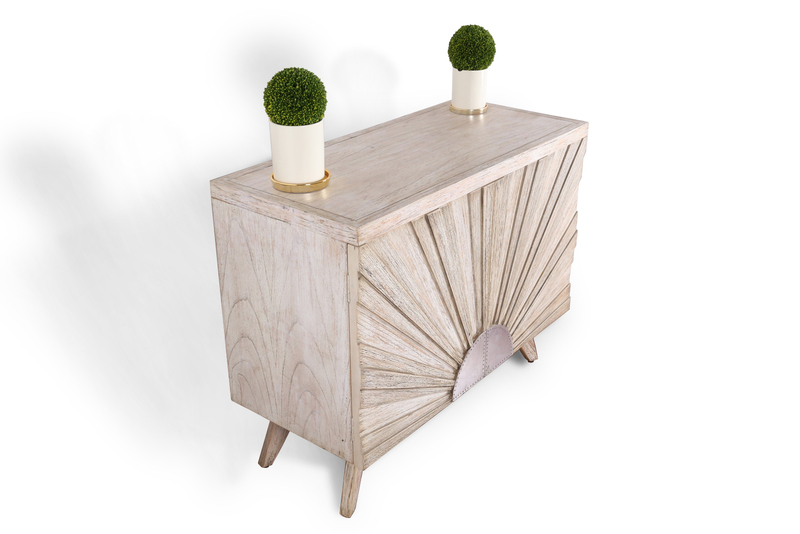 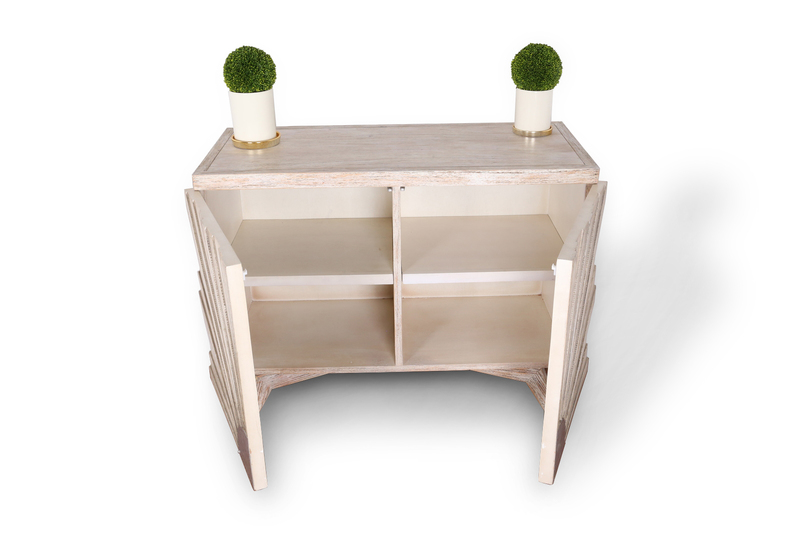 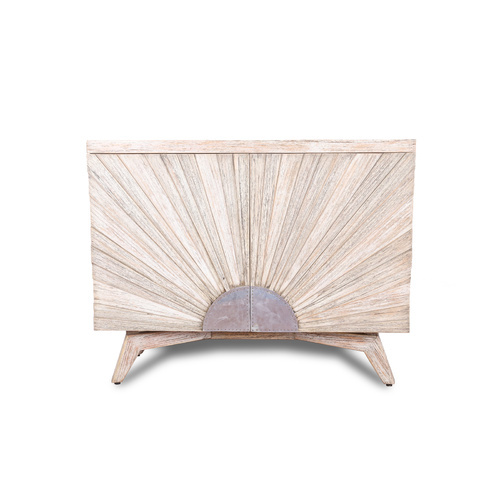 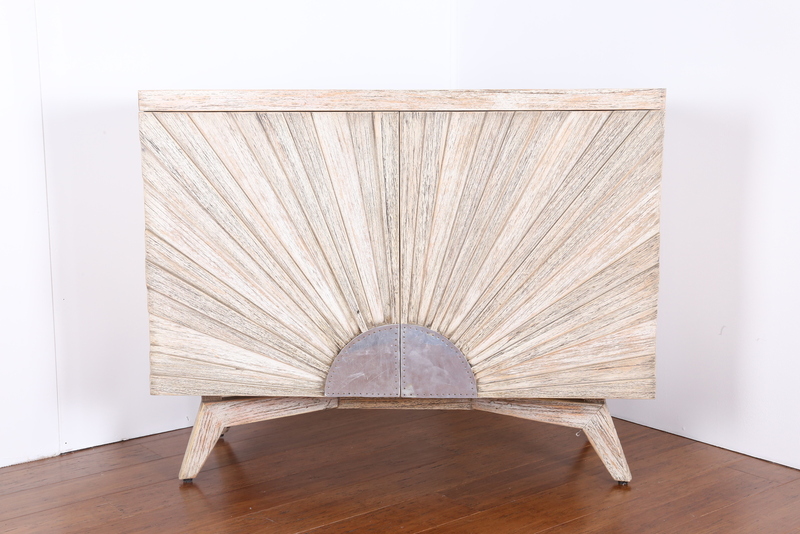 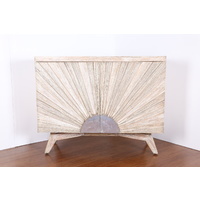 The Sunburst Buffet uses coastal style and clean lines to create a unique Summer inspired buffet. 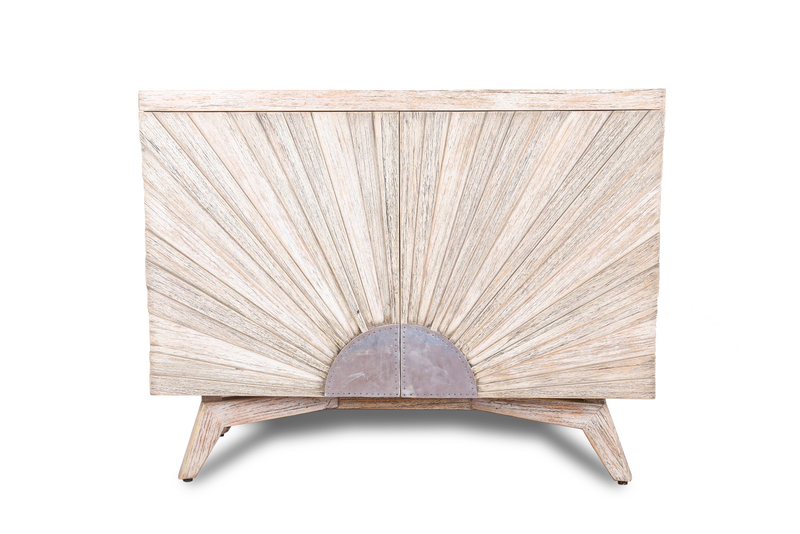 It features timber framing and hand carved wood and metal detailing replicatating a sunrise with 2 touch close doors with an internal shelf. 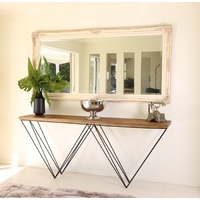 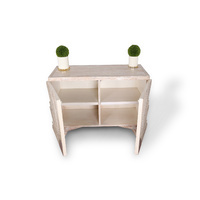 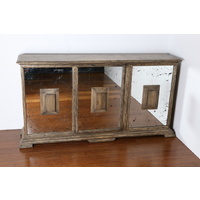 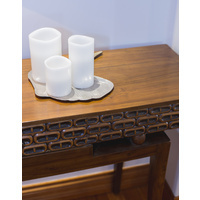 This buffet would work well used as an entertainment unit or lowline buffet featured in a living room or foyer.